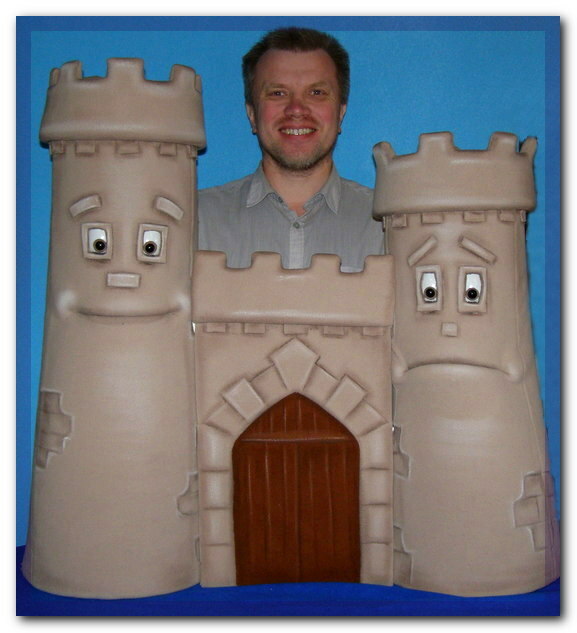 Castle puppet, Puppet for sale. 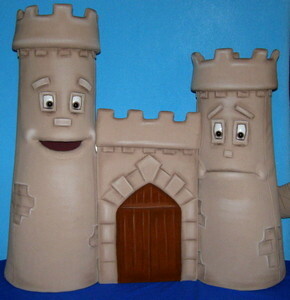 Castle puppet with 2 towers, professional foam puppet. 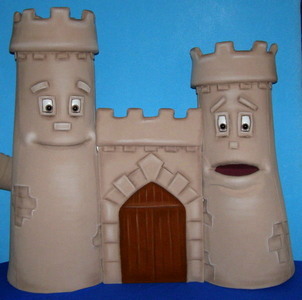 Width is around 32"(80cm) tall. Weight is 0,9 pound (0,4 kg). 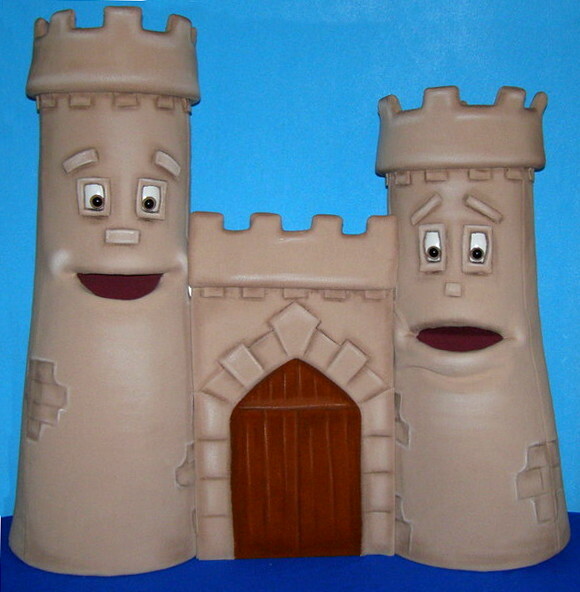 Towers are detachable and can be separated. Happy tower is 32"(80cm) tall. 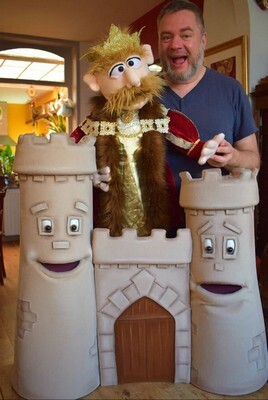 Weight is about (0,8 kg). 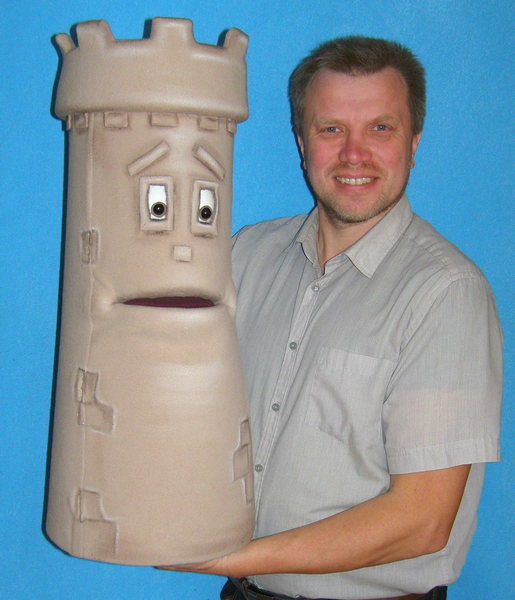 Sad tower is 28"(70cm) tall. Weight is about (0,7 kg).